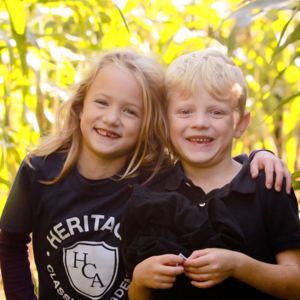 Heritage Classical Academy exists to equip students to think and live for the glory of Jesus Christ. 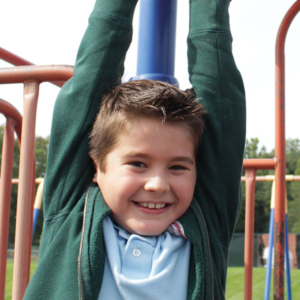 HCA offers two distinct tracks to serve our families. At the Academy, students attend classes on a traditional five days per week schedule. At the Study Center, we partner with homeschool families two days per week to support their efforts to educate classically by providing a proven curriculum, passionate teachers, and a Christ-centered environment. A classically educated student is taught according to the Trivium (grammar, logic, rhetoric), which emphasizes that as children develop cognitively, they learn differently. Young children love to memorize and learn facts. During their elementary years, students learn the grammar of each subject. Middle school students are inquisitive, so we teach logic to develop their ability to reason and discern truth. In high school, students develop a deeper sense of how they are perceived by others. Therefore, an emphasis is placed on rhetoric where students learn to write and present their ideas persuasively. We believe that God’s character is revealed in His Word and in every facet of creation. Therefore, we teach that all knowledge is interrelated and instructs us about God Himself. We affirm that all our actions should be done “heartily, as unto the Lord” (Colossians 3:23), so we encourage quality academic work and maintain high standards of character and conduct. Our highest goal is to honor Christ by providing instruction that challenges our students to live and think within a Christian worldview. 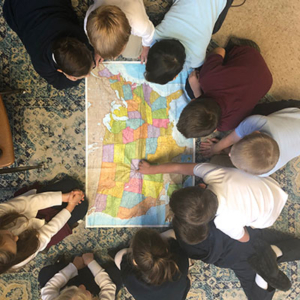 As an independent school, Heritage Classical Academy does not accept funding from local, state, or federal governments. Our independence permits us to provide a true classical and Christian educational experience that is pure in mission, vision, and result, and free from governmental oversight or control.